Definition at line 423 of file lookahead-matcher.h. Definition at line 427 of file lookahead-matcher.h. Definition at line 426 of file lookahead-matcher.h. Definition at line 428 of file lookahead-matcher.h. Definition at line 431 of file lookahead-matcher.h. Definition at line 429 of file lookahead-matcher.h. Definition at line 430 of file lookahead-matcher.h. Definition at line 440 of file lookahead-matcher.h. Definition at line 443 of file lookahead-matcher.h. Definition at line 455 of file lookahead-matcher.h. Definition at line 467 of file lookahead-matcher.h. Definition at line 478 of file lookahead-matcher.h. Definition at line 501 of file lookahead-matcher.h. Definition at line 507 of file lookahead-matcher.h. Definition at line 493 of file lookahead-matcher.h. Definition at line 521 of file lookahead-matcher.h. Definition at line 531 of file lookahead-matcher.h. Definition at line 511 of file lookahead-matcher.h. Definition at line 535 of file lookahead-matcher.h. Definition at line 549 of file lookahead-matcher.h. Definition at line 558 of file lookahead-matcher.h. 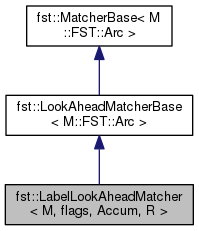 Definition at line 611 of file lookahead-matcher.h. Definition at line 545 of file lookahead-matcher.h. Definition at line 566 of file lookahead-matcher.h. Definition at line 505 of file lookahead-matcher.h. Definition at line 509 of file lookahead-matcher.h. Definition at line 513 of file lookahead-matcher.h. Definition at line 486 of file lookahead-matcher.h. Definition at line 484 of file lookahead-matcher.h. Definition at line 503 of file lookahead-matcher.h.